Has anyone used their sweetener pass at the konsiyerto yet? If so, what did it get you? Hi, I'm Layla. You can probably tell sa pamamagitan ng my username. Anyways, I'm saving up for front row tickets to see Ariana Grande. The problem is I have nobody to take me. madami information will probably be revealed afterwards. 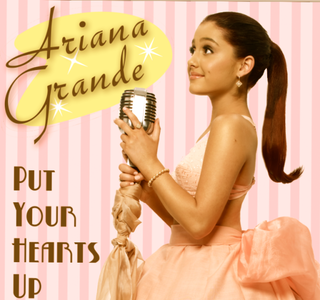 AG: uy what's up guys, this is yours truly Ariana Grande, Here's a crazy story for u guys. MV: No Wunderland is the place u sinabi u wanted to come to. AG: I sinabi I wish I was Taller but How's this place gonna do that? After an initial order for 20 episodes, Nick was thrilled sa pamamagitan ng the show’s success – so much so, in fact, that they doubled the episode order to 40. That’s a notably large order, even for a kids show. matagumpay only had 19 episodes in its first season, while iCarly had 25. This allegedly caused some tensions behind the scenes – TMZ reported rumors that McCurdy’s salary was much lower than Grande’s. Extending one season instead of just renewing for a segundo likely denied McCurdy a chance to renegotiate. First, Ill start off with the song itself. I pag-ibig this song, its a go-to for parties. Now the video. Based on the song, I was expecting the video to be madami of a story. I was quiet disappointed to see all it was is singing, dancing and very dizzy circles going round and round.